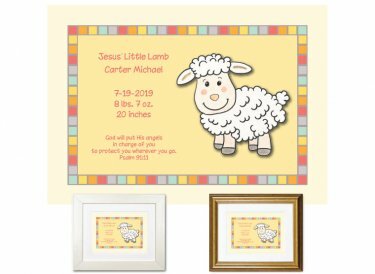 Commemorate baby's birth with a sweet personalized keepsake! You'll add baby's name and birth stats - date of birth, weight, and length. Original design. Hand finished using premium museum-quality materials. Also comes in pink, blue, and mint.